a de bonnes dimensions (la couette, par ailleurs, est longue et confortable. En revanche, l'assise est dure et désagréable : je ne me suis pas bien reposé. Celui d'AF dans les (rares) cabines Best and beyond est plus confortable et celui de QR aussi. Indépassable en confort (revêtement cuir) celui de SQ/SIA (mais gros inconvénient : il faut demander à une hôtesse de le manipuler...). Globalement, je mettrait 7,5 sur 10 pour le confort général. 31D is a Premium Economy aisle seat in the center aisle. It is a nice seat as there is considerable room in the area adjacent to the seat. 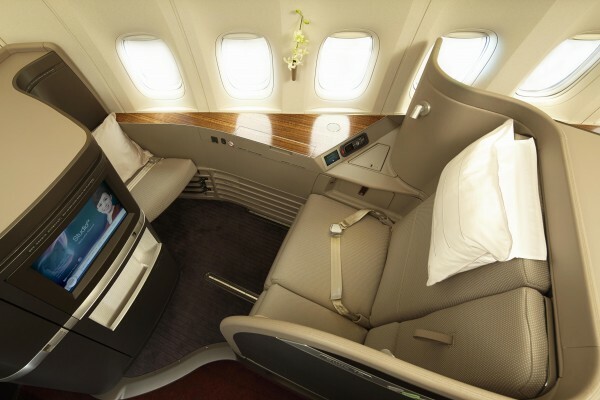 Premium Economy is a great mid-range product for those who cannot afford Business Class. The seat reclines nicely and leg room is generous. Tray tables are stowed in the armrests and the IFE is a larger screen than in Economy, along with over the ear headphones. You also get a free amenities kit that is not quite as nice as the Business Class version, but still has an eye shade, ear plugs, moisturizer, toothpaste and tooth brush. One con is that when the person in front of you reclines their seat, the roominess disappears. The recline is significant enough to be comfortable in sleep, and the footrest adds just enough comfort to your legs so theu don't hang down. 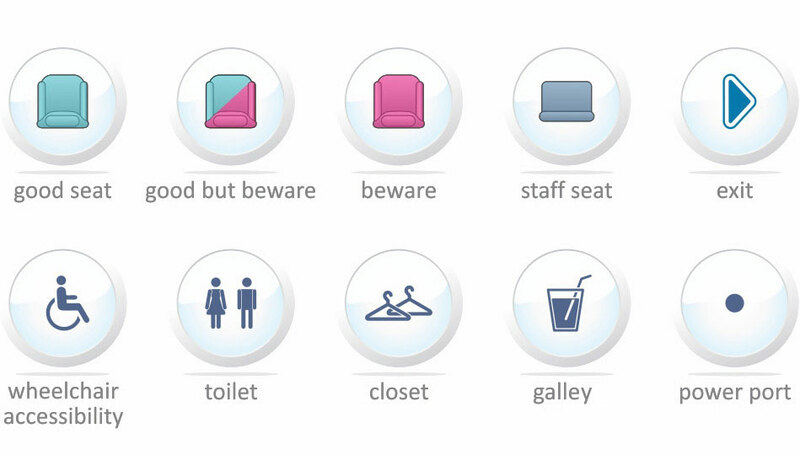 By my judgment, avoid row 30D,E, F, & G as that is the bulkhead seat en-route to the toilet and most people from the port side of the plane will walk right in front of you. Row 31A & B are emergency exit seats, 31A has no window at all. All other seats seem adequate and have no obvious problems with window alignment. 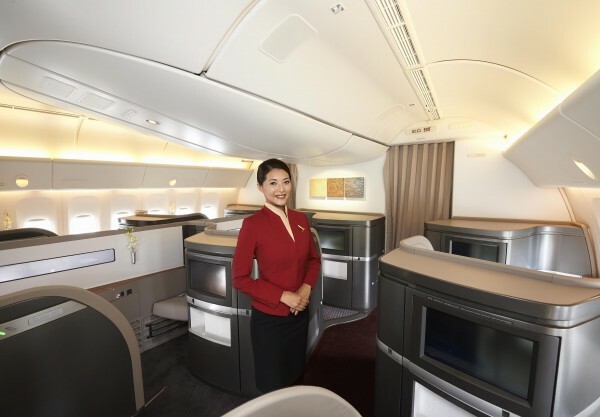 During the whole 15 hours of the flight from Boston to Hong Kong (round trip CX811 & CX812), Service was no where to be seen, other than the 2 meals served and cannot find the flight attendants at all there after, no one! I got up to throw away the candy wrappers into the trash bin at the service station, received a yelling from one of the young ladies attendant, “don’t throw stuffs into the bin, its already full”, my reply was, “excuse me! Is that a trash bin for trash, where do you expecting the trash to go? If it is full why was it so full and no one taking care of it?” If there was any air turbulences, trash will be flying around. This seat was amazing! Easy access to the bathroom and stretching the legs for this 15 hour flight. I had never flown this length of time and I'm so glad we upgraded to a premium seat. The leg room is terrific, the staff so catering, could not have been any more pleasant. Food was delicious believe it or not. Updated movies with sleep made for a great transition once we landed. I'm a bit larger woman and the seat width was perfect with another larger man sitting next to me. We were assigned 1K & 2K, both window suites. Amazing service from Fanny, Ian & Joanne. 1st class BA lounge at ORD is terrible, so don't arrive early expecting a nice lounge ! HKG 1st lounge is amazing ! This seat is behind the last pannel. It has many advantages like good legroom and the certainty nobody will disturb you during a long flight (you will not disturb them either!) The entertainment screen is a bit far away though as it is located on the wall. If you have poor sight you better try to get some sleep! 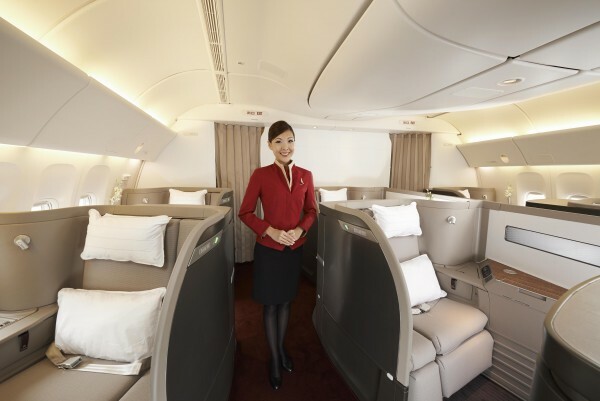 Extraordinarily convenient and comfortable business class. More than a seat, this is a pod with full recline, individual TV, etc. Makes the 15-hour flight not just tolerable but good for work, sleep, etc. the restroom is dirty, no seat paper and bath tissue available.